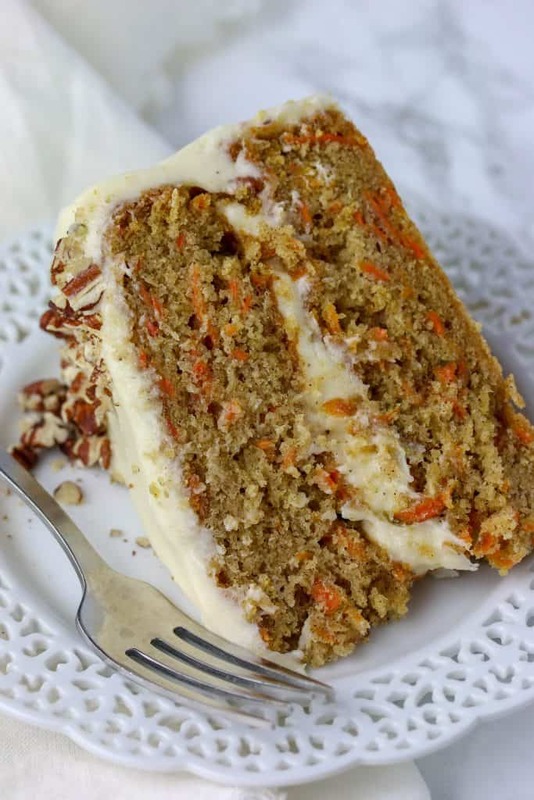 This is the best carrot layer cake recipe! 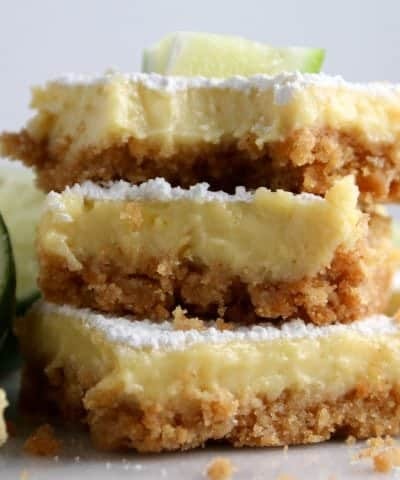 Easy to make too and then covered in a cream cheese icing. Make this for Easter or whenever the occasion calls for a delicious carrot cake. I don’t know what it is about bringing a cake to someone’s house. Especially a carrot cake. Everyone is always incredibly impressed. I always feel a tad guilty accepting all of the wonderful praise. Because a carrot cake I think is one of the easiest cakes to make. And when you cover it in cream cheese frosting it’s alway a hit. I dare say carrot cake might be my favorite dessert out there. There I said it. My dad would agree with me. He can’t resist a carrot cake. Neither can I. Genetics is scary isn’t it? It has some warm spices added to it- cinnamon and nutmeg added to it as well! And the brown sugar in the cake gives it a caramel note as well. You have to frost it of course with cream cheese frosting. It’s a must if you ask me. To make this carrot cake you want to start by preparing your cake pans. I like to line mine with parchment paper so they easily release. You can get a step by step tutorial on how to line your cake pans here. 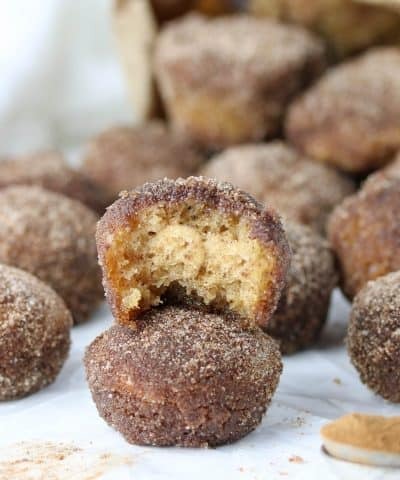 In a mixing bowl, you want to measure your dry ingredients – flour, baking powder, baking soda, cinnamon, and nutmeg. Then just give it a whisk and set aside. In a second mixing bowl you want to whisk your sugars and vegetable oil. Add in your eggs and whisk to combine. 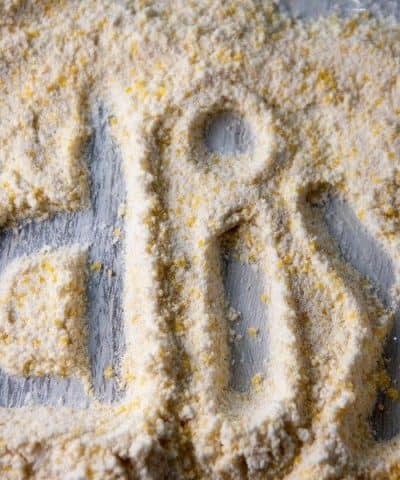 You can now stir in your dry ingredients. 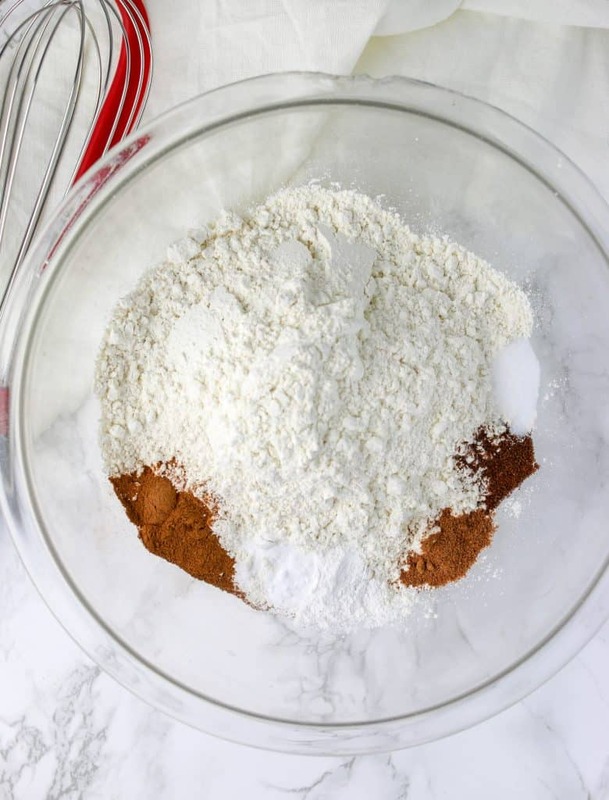 Be sure to stop mixing as soon as the flour is incorporated. Stir in your shredded carrots and now you’re ready to bake! Should Carrot Cake Have Raisins? It can! Or you can also add nuts if you would like. I like to add neither and keep it simple. It’s up to you! Yes! In fact that’s what I did with this original carrot cake recipe on the blog. 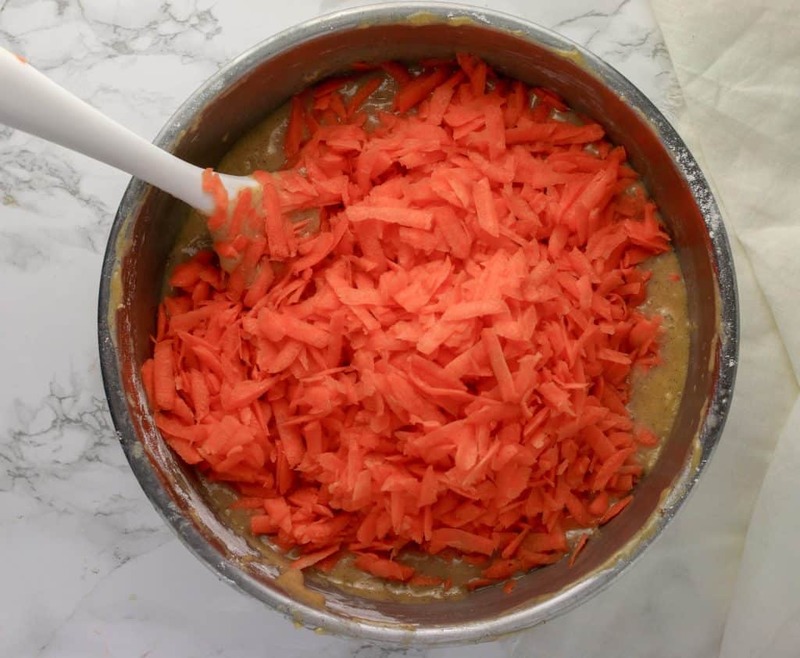 I used half applesauce and half oil in this easy carrot sheet cake recipe. It still keeps it moist but also lightens it up a bit. If you use all applesauce it may affect the texture. Should You Put Carrot Cake In The Fridge? If it’s unfrosted, you can keep this cake on the counter for 2-3 days. Just make its covered. I like to wrap my layers in plastic wrap. 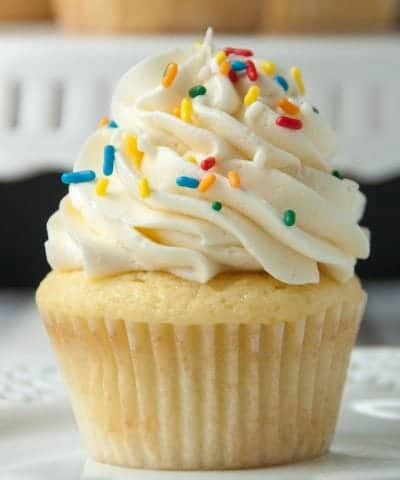 If it’s frosted, then you should store in the fridge because of the cream cheese frosting. It should keep if it covered for 5-6 days as well, making this a great make ahead dessert for Easter! Be sure to measure your flour correctly by spooning into your cup and leveling with a flat edge. If you don’t, you may end up with too much flour and that will result in a dense cake. 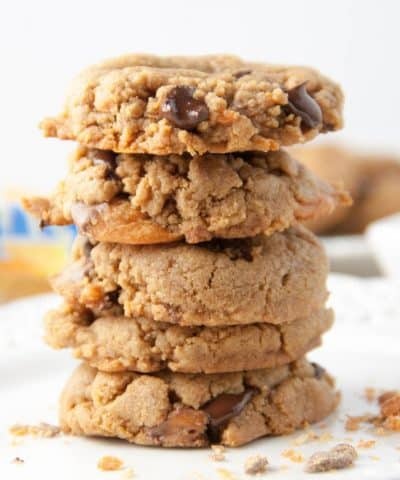 Once you have combined your wet and dry ingredients, be sure to not overmix. Once your flour becomes wet, the gluten will be formed. Too much mixing results in too much gluten formed and that results in a tough cake. Make sure your eggs are room temperature so they will be incorporated easily. Place them in a warm bowl for 10 minutes before using them. Grate your carrots by hand. 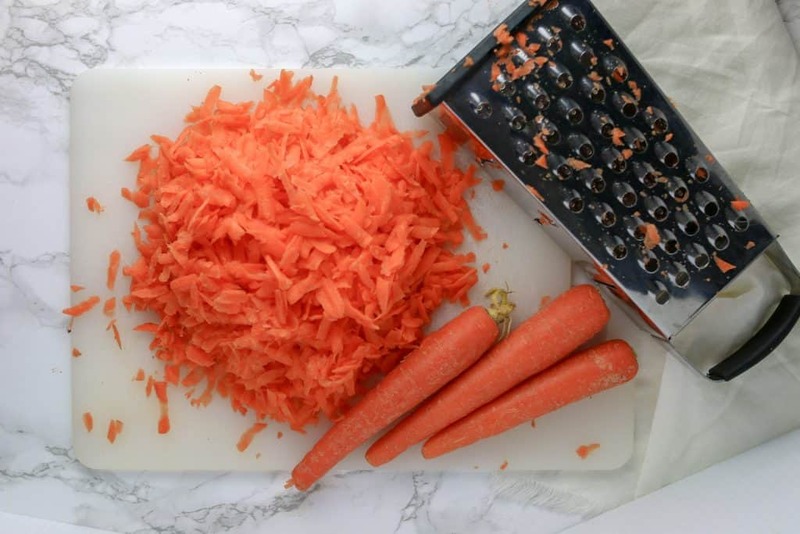 A food processor will grate the carrots too fine and turn them into more of a mush. Allow your cake to cool completely before frosting. If the cake is too warm, your icing will melt. 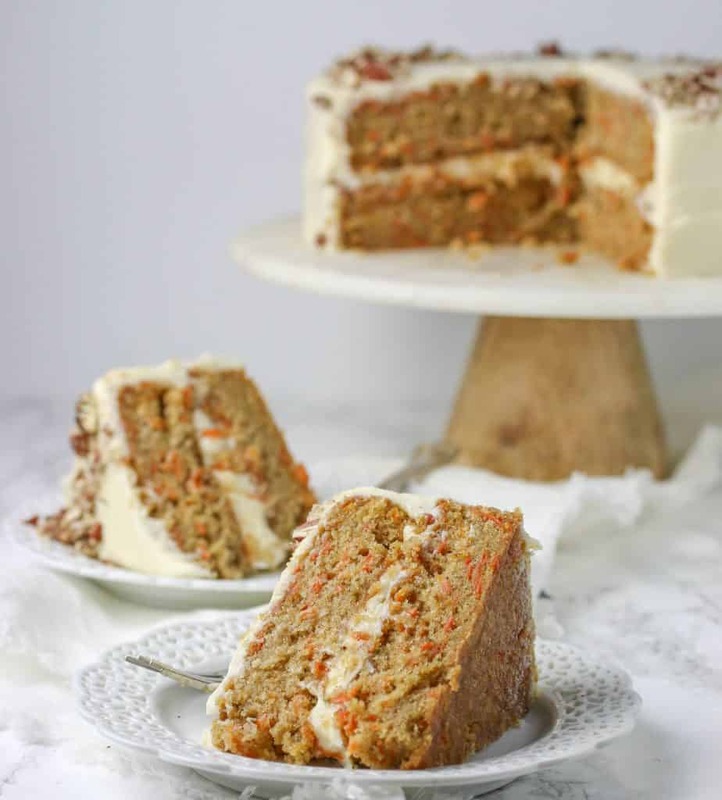 If you try this carrot cake and love it let me know and leave me a comment and star rating below! This is the best carrot layer cake to make for Easter! 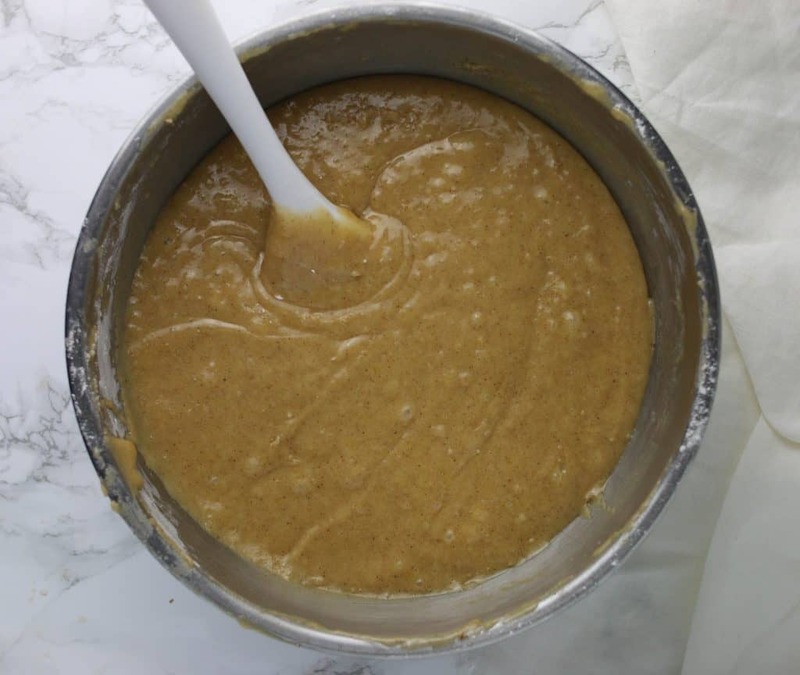 Whisk together flour, baking powder, baking soda, cinnamon, nutmeg, and salt in large bowl; set aside. Grate 6-7 medium carrots by hand. Set aside. 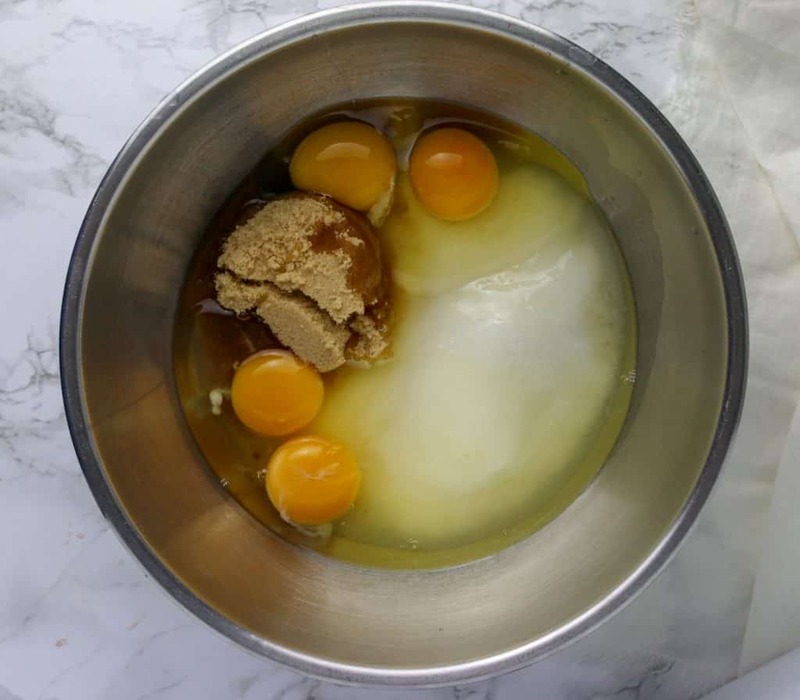 In a medium bowl, combine sugars and eggs and mix until frothy and thoroughly combined. While mixer is running, add oil. 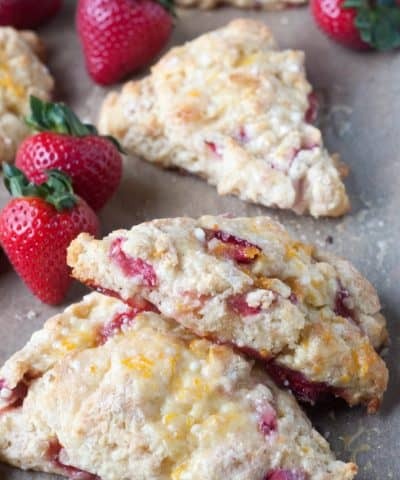 Stir in dry ingredients, until no flour remains. 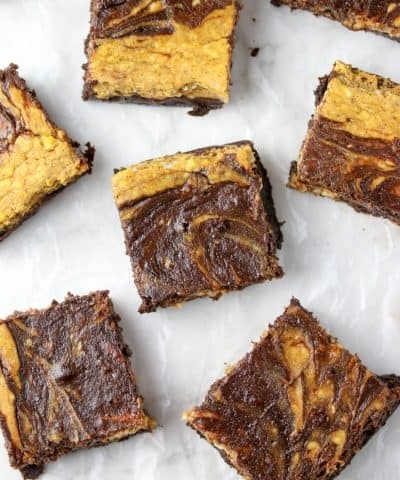 Pour into prepared pan and bake until toothpick or skewer inserted into center of cake comes out clean, 35 to 40 minutes, rotating pan halfway through baking time. cool cake to room temperature in pan on wire rack, about 2 hours. Be sure to measure your flour correctly by spooning into your cup and levelling with a flat edge. If you don’t, you may end up with too much flour and that will result in a dense cake. Thanks Karly 🙂 that means a lot!